This section of a cityscape was designed to resemble an architect’s tabletop model. 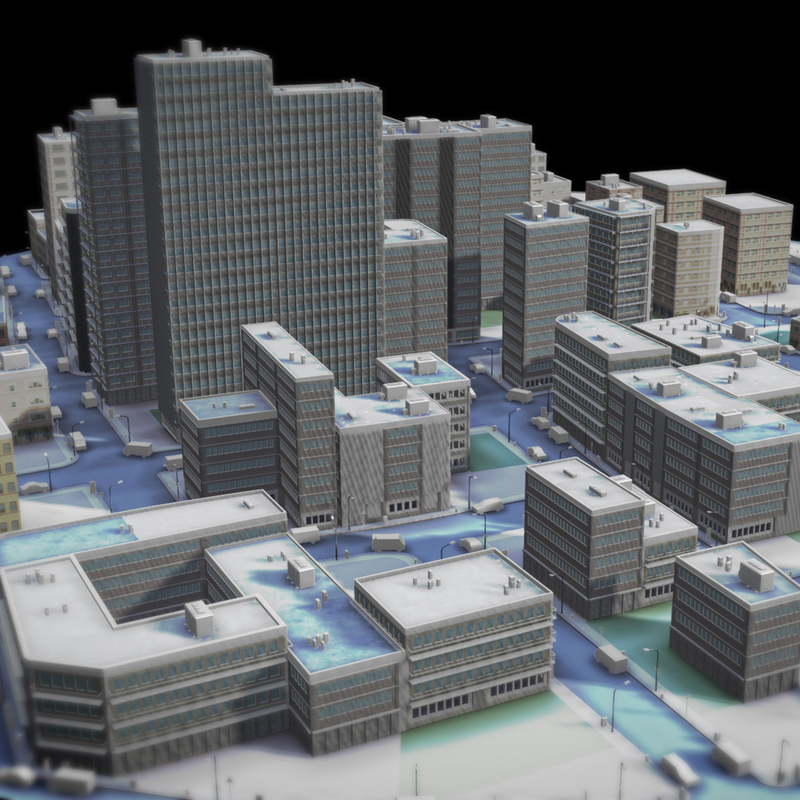 The buildings and street layout are generated procedurally. The textures of the buildings’ facades are based on photographs of buildings in a particular district of Chicago and utilize normal maps to minimize geometry rendering expense.